Shengzhou Beite Import & Export Co., Ltd.
2.We can open customers'own mould as per their requirement. 3.We can offer you the high quality & reasionalble price . 4.We can offer you a good after-sell service. over load, over heat, short circuit, don't worry about damage to the amplifiers and speakers. Q3: How can I get the samples9 A: If you need some samples to test,we can make as per your request . Q6: Can we have our Logo or company name to be printed on your products or package9 A: Sure. We have a very strict QC system, always provide best quality with best service . We have professional QC system, a strong quality check system. We have our own long cooperative shipping company, they can offer the best freight. or,you send us the samples charge together with the courier cost by western union, Paypal or Bank transfer. 2. Q: How much the courier freight will be for the samples9 A: Courier freight depends on the quantity, weight and carton size and your area. 3. Q: How can I get your price list9 A: Please send us your email or fax for our price list and order information. 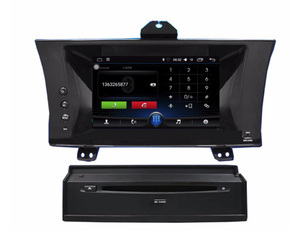 Product name: CAR AUDIO Product model: CA-801 1. Specification: Voltage: 12V Power: 100W SNR: &gt;89db Color: black Peak power Output: 350W Rated impedance: 40hm Frequency response: 28Hz-3.5 KHz Speaker unit: 8'' bass+treble 2. Package: four pieces in a carton Packing Size:565(L)*510(W)*570(H)mm 3. Loading quantity: 20&rsquo;(28m3):681sets 40&rsquo;(58m3):1412sets 40&rsquo;HQ(68M3):1656sets Remarks 1. Guangzhou Aoyace Speaker Equipment Factory makes all kinds of speakers, such as: Speaker, mini speaker, portable speaker, USB speaker, computer speaker, car speaker, speaker box 2. 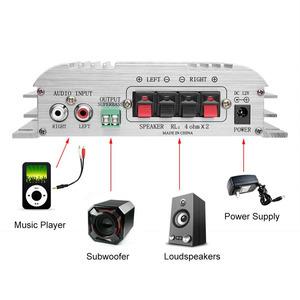 We can add USB/SD function and FM function on multimedia speaker,mp3 speaker, speaker system, speaker part, speaker cable, professional speaker, active speaker 3. We sincerely welcome OEM and ODM orders of pa speaker, pc speaker, home theater speaker, horn speaker,2.1 speaker, stage speaker, DJ speaker, speaker cone 4. Our subwoofer speaker,2.0 speaker, speaker cabinet, laptop speaker, amplifier speaker, portable mini speaker, mini digital sound box speaker, usb mini speaker have passed CQC 5. More new models of audio speaker,speaker wire,speaker unit,speaker bag,outdoor speaker,hifi speaker,speaker grill, portable laptop mini speaker,home speaker are on the way 6. We can make pro speakerportable mp3 mini speaker, SD card speaker, hi fi speaker, usb laptop speakers, SD speaker about 50000 pcs per month. 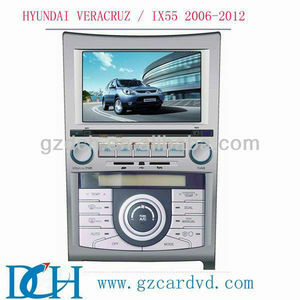 Car audio We make car audio system, car audio player, car audio amplifier and car audio connector. Dongguan Yuandong Acoustic Technology Co., Ltd.
All items are in brand new condition unless specified otherwise elsewhere in the description. (2). All returns - defective or otherwise - have to be preauthorized (within 7 days from the date of receipt). Please contact us to get an authorization and returning address before sending the item back. (4).